In order to view certain content items, you must allow pop-ups. 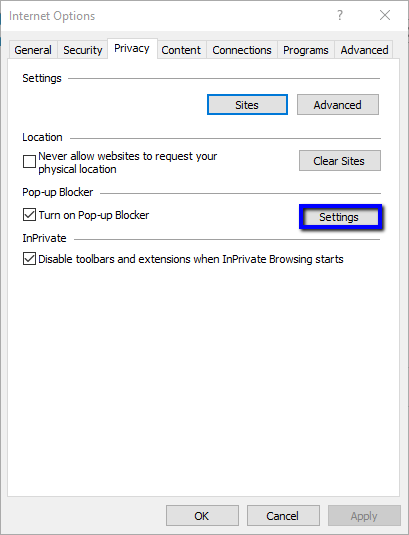 The process for allowing pop-us varies slightly from browser to browser. This tutorial will cover how to allow pop-ups in the latest versions of Google Chrome, Internet Explorer (10 or 11), Mozilla Firefox (40+), Safari on OS X, and Safari on iOS. 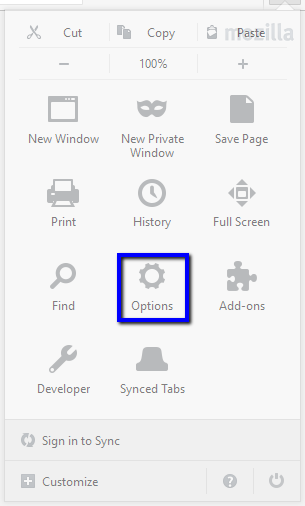 Click the menu icon located on the top-right corner of the page. 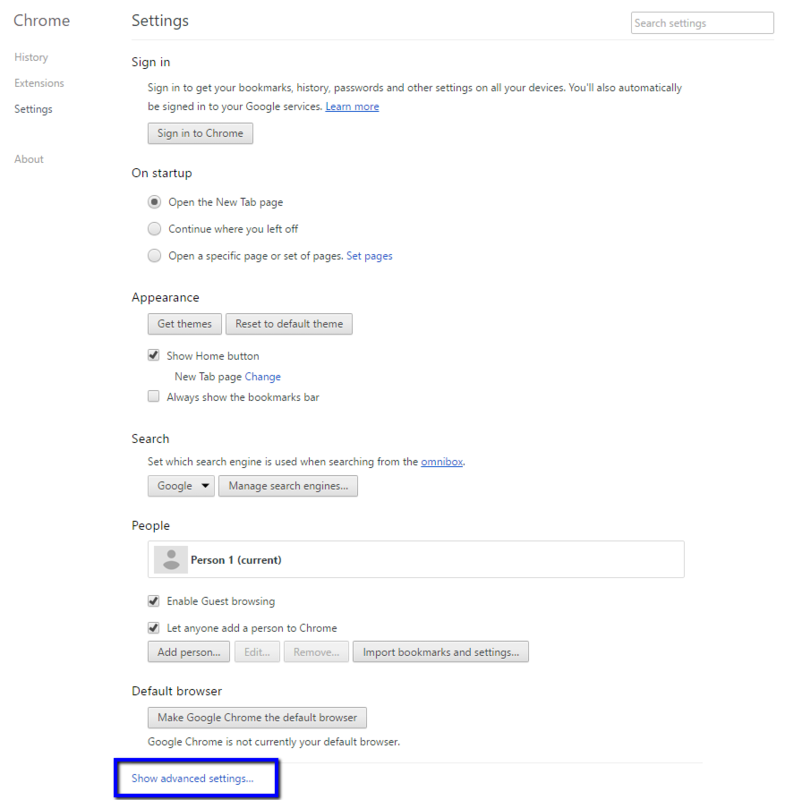 Select the "Show Advanced Setting" option at the bottom of the Settings page. Under the "Privacy Settings," click "Content Settings." Scroll down to the "Pop-Ups" heading and click "Manage Exceptions." 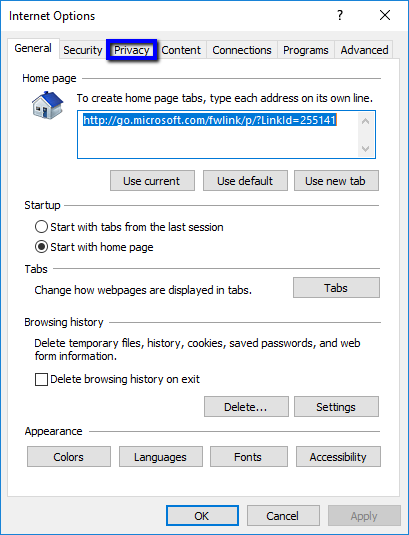 In the dialog box provided, copy and paste the URL of the site you would like to allow pop-ups for. 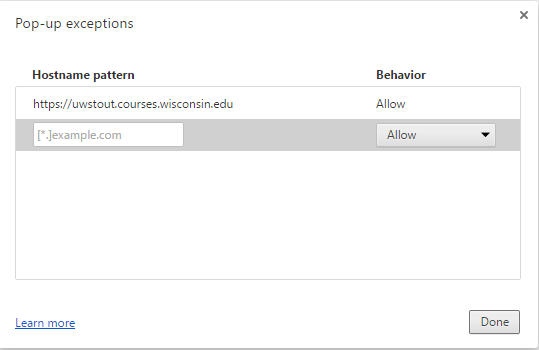 Example: Learn@UW-Stout or Access Stout. Click the gear icon located on the top-right corner of the page. Click "Internet Options" at the bottom of the drop down menu. 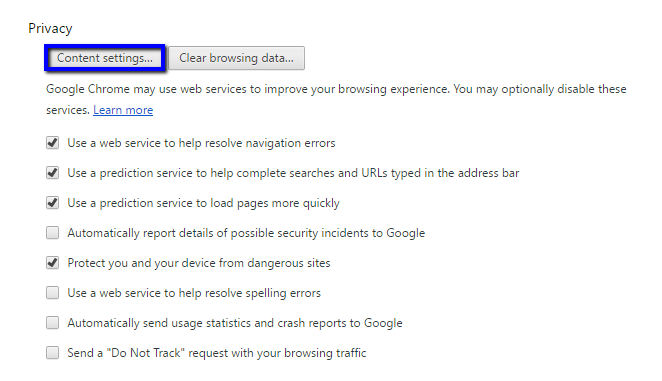 Under the "Pop-up Blocker" heading, click "Settings." Click "Content" on the sidebar. Under the "Pop-ups" heading, click "Exceptions." Note: Safari does not allow users to unblock pop-ups for select sites. 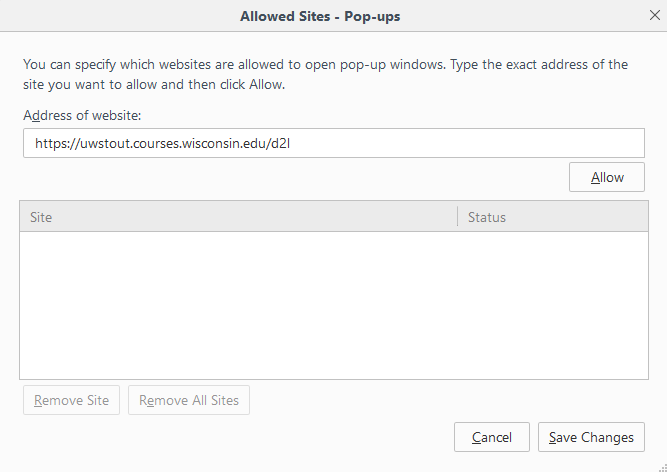 Instead, pop-ups must be allowed for all sites. Select "Allow WebGL" and "Allow Plug-ins"
Open your "Settings" app from your Home screen. 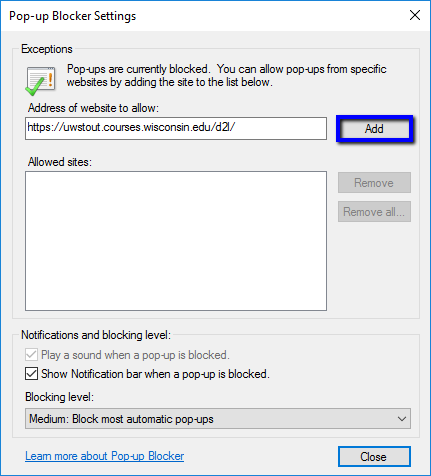 Slide the "Block Pop-ups" option from "On" (i.e. green) that blocks pop-ups to "Off" (i.e. white) that never block pop-ups.